What is Be Something Wonderful Anyway? Joy. But wait that’s it? Yup. That’s it. Can it be that simple? Yes. It can. At the root of everything you chase, everything you wish for, and everything you desire: a big bank account, the perfect partner, an adventurous weekend, a happy family, a luxury vacation, loads of money, the perfect cup of coffee, great friends, a fine wine, a dream home etc.—whatever it may be—all of it and everything you seek is with the sole purpose to feel good. So why not just feel good anyway? That’s right. Start there. And then everything else: the lucrative career, to be famous, the fun night out, getting rich, a successful business, to travel the world etc., is icing on the cake. Because you don’t need any of it to feel joy. To be happy. To Be Something Wonderful. You and only you control all of it. You are powerful beyond measure. You are an awesome creator. Get used to it. Everything in your physical world right here and right now was created by you. It all starts on the inside. If you feel crappy on the inside, guess what? That’s right. You bring crappy into your reality. The source of any problem, no matter how big or how small, is rooted in how you feel. Feel good. Feel joy. And suddenly your problems seem to melt away as if by magic. Well, actually, it is magic. And you have access to this magic on a daily basis. It’s who you really are. You are connected to this pure, positive, universal energy. Really, it’s that simple. Just drop down into that joyful space where everything and anything is possible. When you do, the people, the events, and the circumstances that surround you suddenly lose power over you. Your inner state of joy is no longer dependent on outside influences. You are happy just because. This is when the magic happens and you open the door for the universe to orchestrate and bring wonderful things to you. Call it what you will. Luck. Karma. Law of Attraction. Simply put when you feel good you are in a state of allowing the universe to bring you all of it—from your smallest desires to your greatest hopes and dreams. And when you don’t, you are resisting the universal flow. 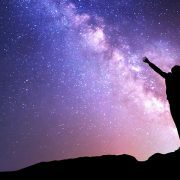 You feel disconnected from the powerful source energy of the universe. And suddenly everything feels heavier and more difficult. Things just seem to go wrong. So stop chasing joy and just feel good now. Just feel good anyway and start allowing the infinite, source energy of the universe to flow through you. Joy. Happiness. Prosperity. Abundance. Clarity. Success. Love. All of it already exists for you in the here and now. This beautiful, benevolent, bountiful source of goodness has always been available to you. Waiting for you to notice it. Waiting for you to embrace it. Waiting for you to live it. 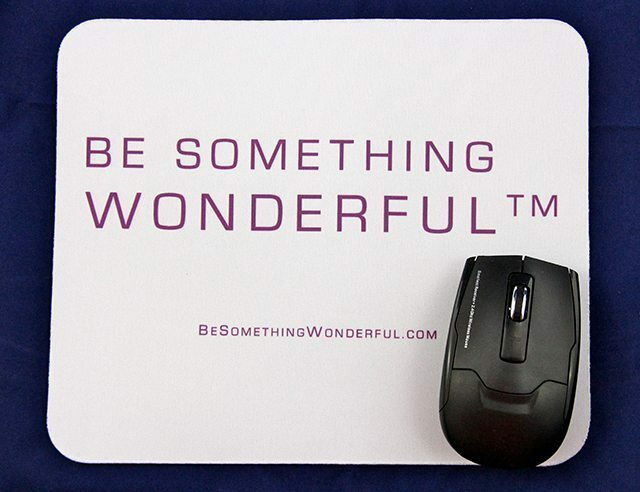 So what is Be Something Wonderful™ anyway? Be Something Wonderful™ is that magical state of pure potential. That limitless source of joy, happiness, abundance, and prosperity. Be Something Wonderful™ is about connecting to that seemingly divine state and living your dreams, not just some of the time, not just part of the time, but all of the time. Dotts, Richard. The Magic Feeling Which Creates Instant Manifestations. 2014. 2nd Kindle Edition. Esther and Jerry Hicks (The Teachings of Abraham). Ask and It Is Given: Learning to Manifest Your Desires. 2004. Hay House. https://tomkearin.com/wp-content/uploads/2016/08/besomething-person-sky.jpg 425 1200 Tom https://tomkearin.com/wp-content/uploads/2017/04/bsw-logo-gold-reg.png Tom2016-08-28 20:26:282018-06-18 21:58:46What is Be Something Wonderful Anyway?